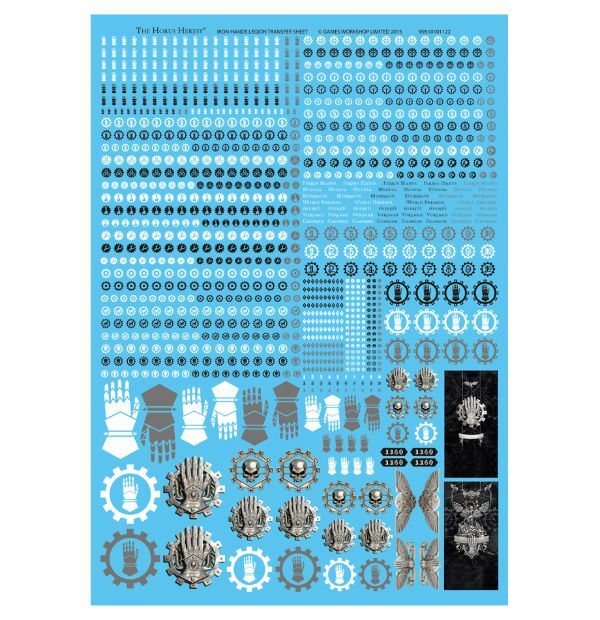 Forge World is making it easy to pick up some of their collections over on their website by bundling together some popular items and offering them at a single price. 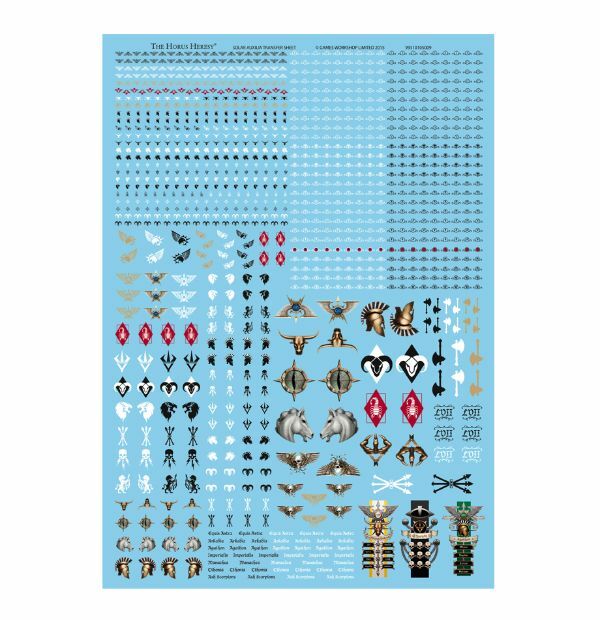 Makes it a lot easier to just click a couple buttons and order like-items than to have to hunt around for each one individually. 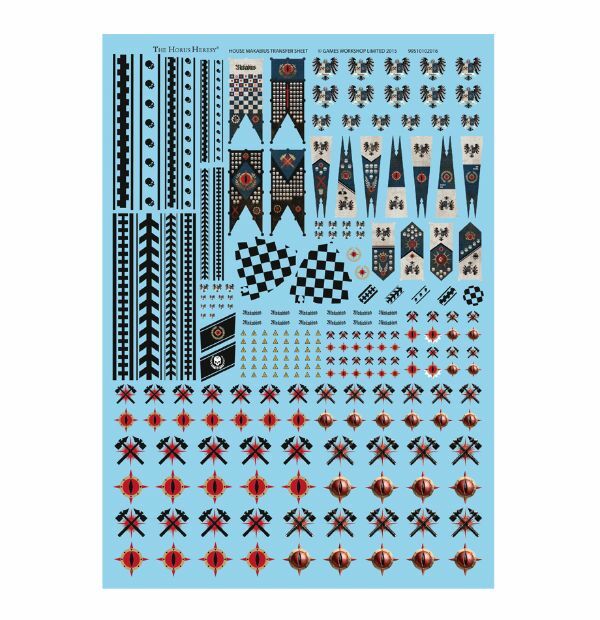 Also, they have some new waterslide transfer sheets and etchings that you can use to decorate your minis. 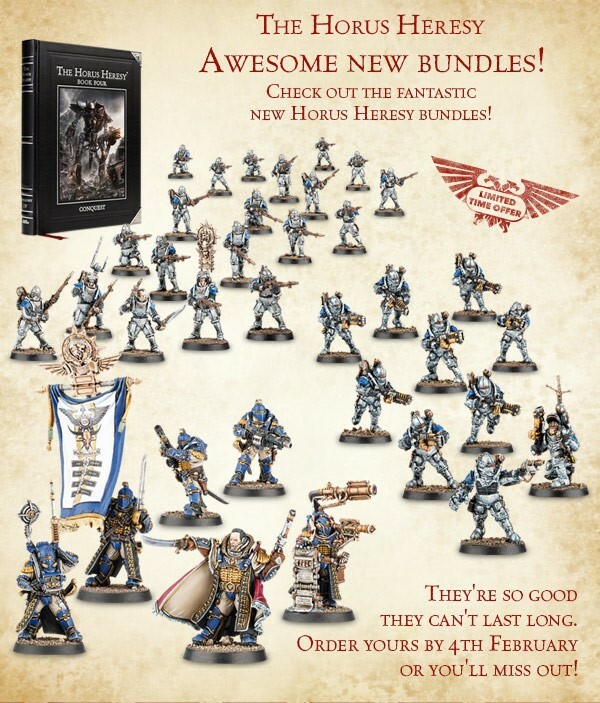 Here we see the new bundles. 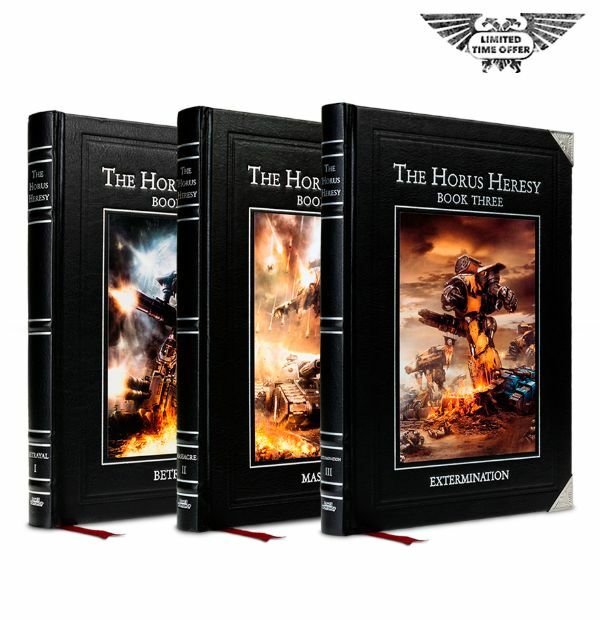 First off we've got the Istvaan Trilogy, because getting a whole set of books at once means you don't have to worry about finishing one book and waiting for the next to come out. 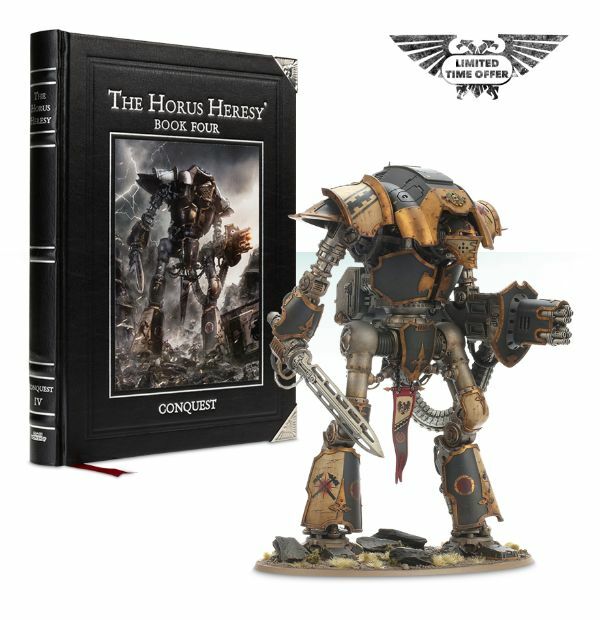 Then there's the Questoris Knight bundle that comes with The Horus Heresy Book 1. 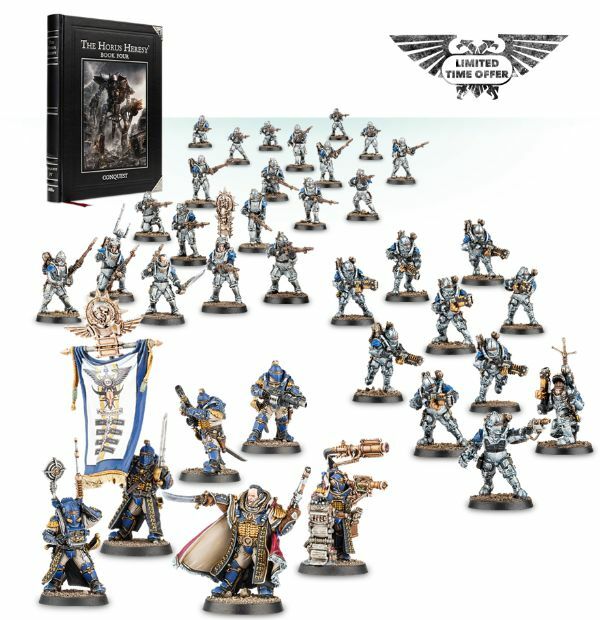 Finally, the Solar Auxilia set gets you a starting force worth of minis and also The Horus Heresy Book 1 in order to see the story behind them. 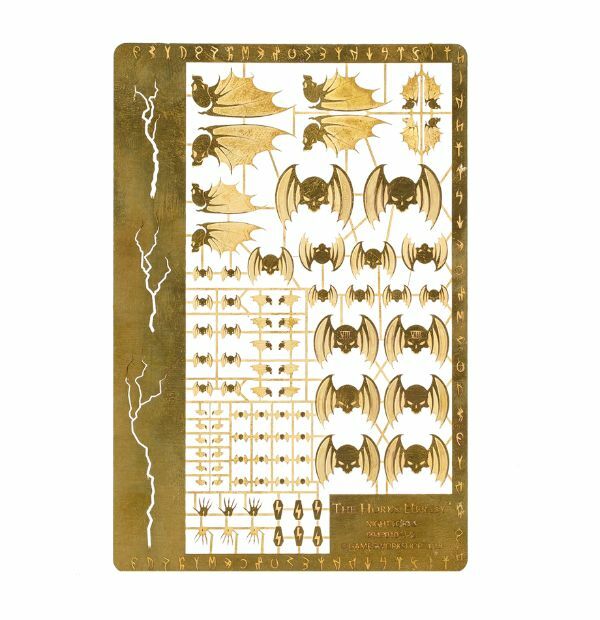 And finally, there's the new waterslide transfers and etched brass sheet that you can use to customize your minis. Hey, anything you can do to save your caffeine hands. 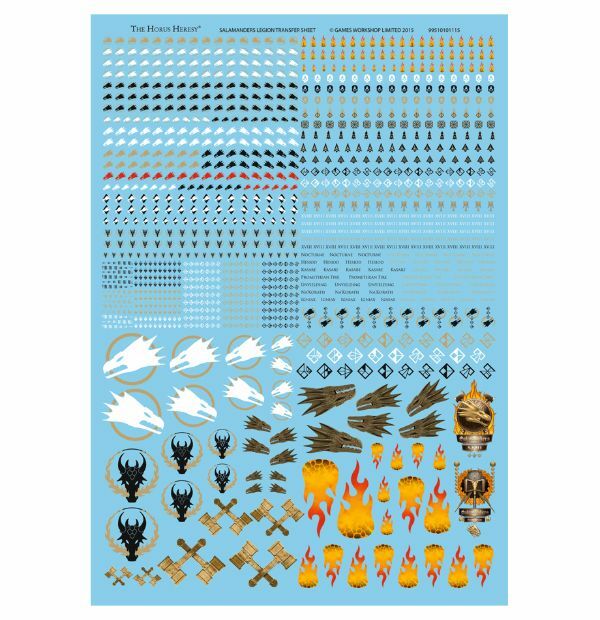 I know I certainly can't paint insignia and such to anywhere near the quality they can print that stuff at. Note: the bundles are a limited-time thing, so if you want them, you'd better go get them asap, so you don't miss out.